Thank you to our guest blogger Dale M. Krause, J.D., LL.M., President and CEO of Krause Financial Services, for leading this conversation on dealing with IRAs in crisis planning. One of the biggest questions my office receives is how to handle a large IRA when conducting crisis planning for either Medicaid or VA. When dealing with VA planning, IRAs are always considered countable assets. In Medicaid planning, the specific rules vary from state to state, but they are considered countable assets in most states. This causes a big problem for attorneys and their clients when trying to accelerate eligibility for Medicaid or VA, however there are ways to save your client’s IRA and still qualify them for benefits. 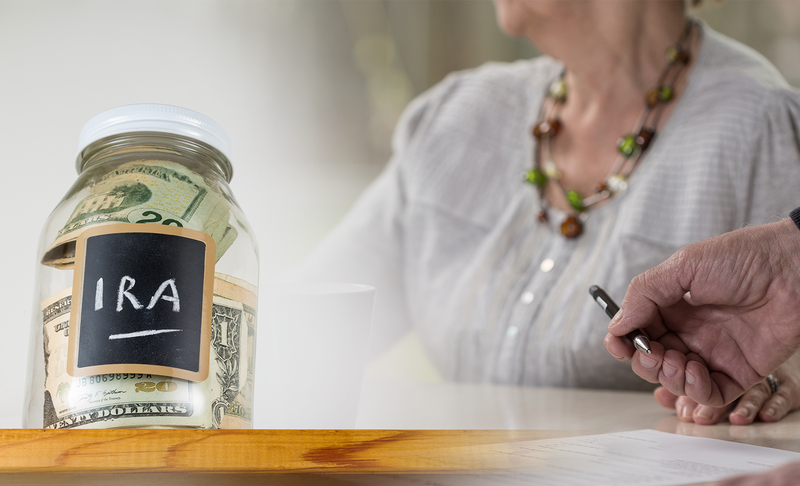 Liquidating an IRA can have some devastating effects on your client. First, the entire value is considered taxable income. This could mean tens of thousands of dollars of tax consequences for your client. Additionally, the amount of the IRA could elevate your client’s tax bracket, forcing them to pay an even higher amount in taxes. Beyond the typical tax consequences of liquidating an IRA, if your married client’s income for the year is above $44,000, up to 85% of their Social Security benefits become taxable. Additionally, their Medicare Part B and Part D premiums could increase. Using an immediate annuity is a great way to eliminate an IRA as a countable asset and accelerate eligibility for benefits. The annuity contains zero cash value and is considered income only to the owner. Transferring the funds to the annuity is a tax-free event. Rather, the IRA funds are taxed as the annuity payments are made within each calendar year. In short, any tax consequence associated with the IRA are spread out over the term of the annuity. In VA planning, the annuity can be structured to ensure the claimant’s income does not exceed their UMEs. Both level-pay and balloon-style annuities are available, which means the claimant has maximum flexibility with this product. Additionally, the annuity can be converted to be “Medicaid compliant” at any time should it become necessary. In Medicaid planning, the annuity is the perfect solution for a community spouse with a large IRA. There are no limitations on the income of the community spouse, therefore the income from the tax-qualified Medicaid Compliant Annuity will not affect the eligibility of the institutionalized spouse. If you have a case that involves an institutionalized spouse with a large IRA, consider using the “Name on the Check Rule”. Ownership of the account cannot be transferred, therefore “Name on the Check Rule” involves the institutionalized spouse purchasing a tax-qualified annuity and designating the community spouse as payee. For Medicaid purposes, this diverts the income directly to the community spouse and it does not become part of the institutionalized spouse’s Medicaid co-pay. (Note: Success of this strategy varies from state to state). 1. Visit Krause Financial Services' website www.medicaidannuity.com or give them a call at (866) 605-7437 for more information on how to handle IRAs in Medicaid and VA planning. They offer a variety of educational materials for elder law attorneys, including webinars and state-specific resources. The 2018 Krause Report is also available and is a comprehensive guide to crisis planning. 3. Can't wait? Watch the course "Strategies Using IRAs in Veteran Benefits & Medicaid Planning" Dale Krause recorded for ElderCounsel.